An interesting but obvious report was released today by the Joan Ganz Cooney Center. This Sesame Street Workshop affiliate gathered 32 parents and their kids and had them read books, ebooks, and enhanced ebooks. The goal was to see how the parent-child pair used each type of book and to see how much information the children retained. I almost passed on this story because I guessed most of the results before I read them. When print books were compared against enhanced ebooks, both the parents and the kids played far more with the extraneous features and the kids recalled much less from the enhanced ebook than from the print book. That's no surprise. 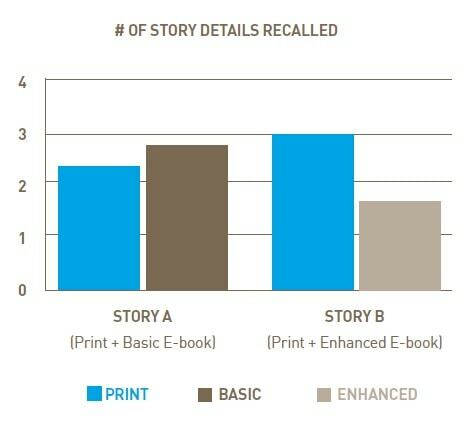 Enhanced ebooks are more like games than they are like books. It's easy to jazz up the content with extraneous material but it's hard to integrate that content in a useful manner. Ask any teacher and they would have told you that the kids will be distracted by the noisy animation and miss important details in the text. Heck, most parents could have predicted that too. If the goal here was to find out what we already know, then congratulations. They succeeded. But if you wanted to find new data you're going to have to keep looking. The data from the other part of the study is slightly more interesting. 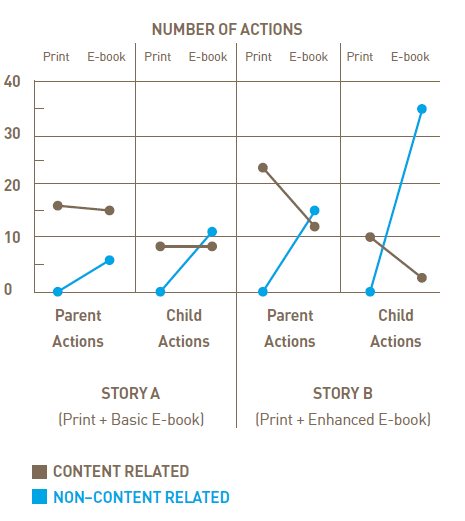 When comparing the print vs (basic) ebooks, the kids as well as the parents interacted more with the ebook than with the paper book and recalled more info from it. Interesting yes, but it was only a slight difference. Given the small study group (n=32), I'd hesitate to draw any conclusions from it. In fact, the same goes for all the results. The only conclusion I'd draw from this is that the study should be repeated with a few hundred kids. I would expect that to provide more trustworthy results; with only 32 test subject pairs there's a high chance that the test includes more outliers than expected. But until this study is repeated, about the only thing I draw from it is that enhanced ebooks shouldn't be used to encourage reading. It doesn't look like they will help. Clearly the game-like aspect is having a greater effect than the book content. What I’d like to see is enhanced ebooks vs. educational television. I actually suspect the television leads to higher retention. My daughter retains e-v-e-r-y-t-h-i-n-g from Super Why.